The fabulously deco black granite facade of Suburban Station, 16th street entrance. 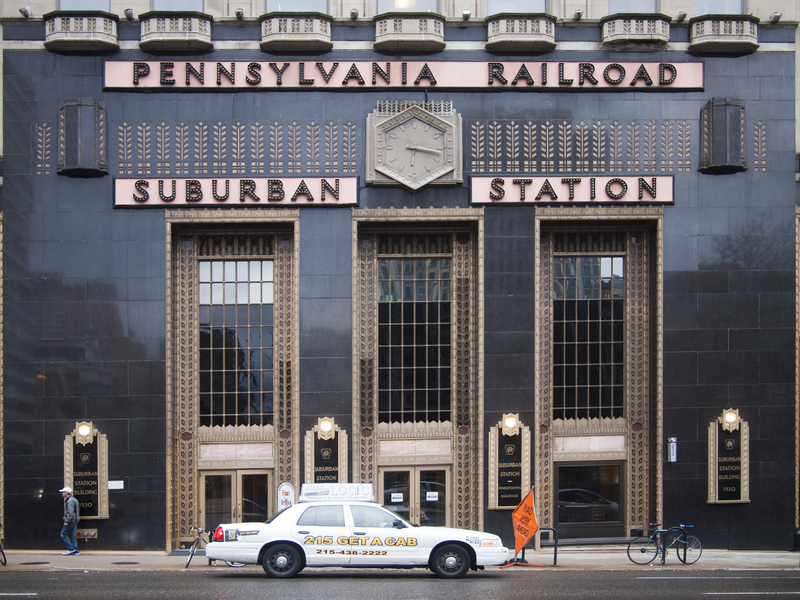 The station was designed for the Pennsylvania Railroad; construction was completed in 1929 and the station opened in 1930, 22 April 2015. 27 Apr	This entry was published on April 27, 2015 at 7:19 am. It’s filed under Architecture, Center City, Historic Preservation, Philly Signage, Philly Type and tagged #thisjawnmatters, #whyilovephilly. Bookmark the permalink. Follow any comments here with the RSS feed for this post.